The article explains the process of removing A2X entries from QuickBooks Online. There are different reasons why you may want to do this. 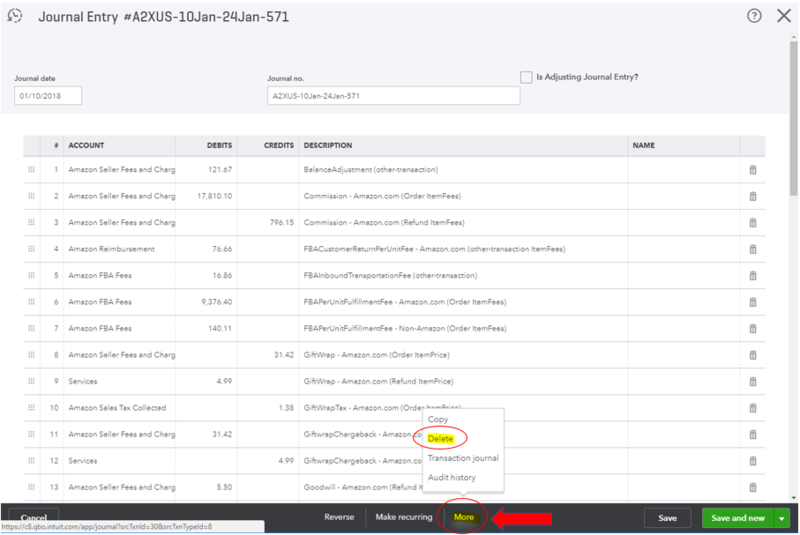 For example, if you originally enabled 'Group by SKU' setting, but have since changed it to 'Group All Sales', and now you want to re-send the settlements to QuickBooks Online. Please Note: In this case, you will need to delete the original entries that have already been sent from A2X to QuickBooks Online, so you don't end up with duplicate journal entries. The above settlement has already been sent to QuickBooks Online. We have since decided to change the 'Group Sales by SKU' setting to 'Group All Sales' in A2X, so we need to remove the original journal entry from QBO. You can see above - the second journal entry with the date range of January 10th to January 24th - is the entry we wish to delete. This will delete the journal entry and remove any match that you had in your banking section of QuickBooks Online. Please note: If the settlement crosses over a two month period (January and February), A2X will split that settlement by month. 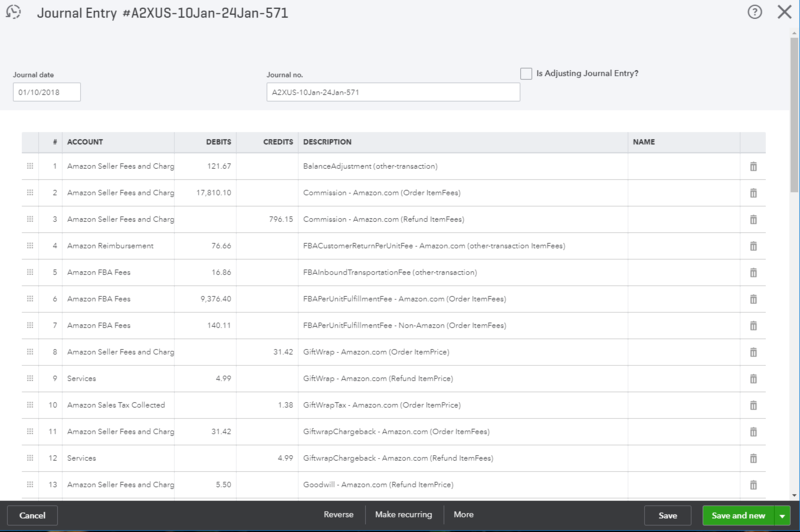 In Quickbooks Online, one portion of the settlement will be dated January, and the other portion will be dated February. It is important to ensure you have removed both portions of any split settlement. You are now ready to re-send the settlement over to QuickBooks Online!